Attorney General Mark Herring says his office along with state police just completed an audit of the 30 states Virginia had concealed carry agreements with. According to the attorney general, 25 of those states did not meet Virginia’s standards when it came to carrying a concealed handgun. In Virginia some of the disqualifications for getting a concealed handgun permit include people with restraining orders, anyone who has been convicted of two or more misdemeanors and people under certain mental health conditions. The attorney general says if states didn’t meet those standards, their concealed carry permits could not be recognized in Virginia. 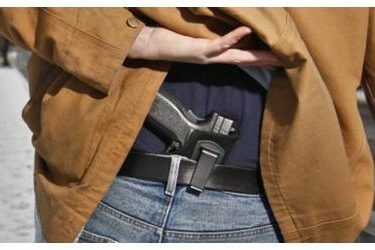 If someone from one of the state’s that’s been revoked is caught carrying concealed in Virginia, they could have their guns seized by law enforcement. The attorney general says he’s required by Virginia law to make sure concealed handgun permit holders meet Virginia’s standards. * indicates states that will no longer recognize Virginia concealed handgun permits because of laws in those states that require mutual recognition of permits.